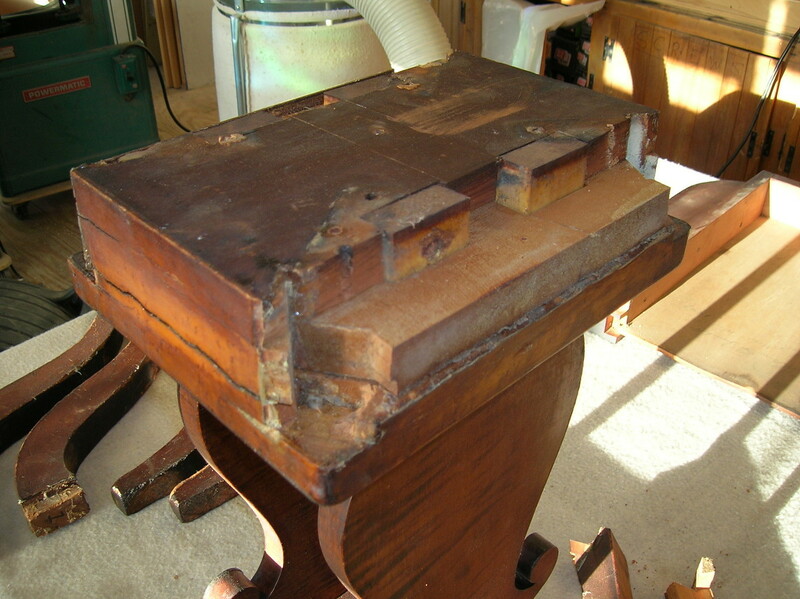 This beautiful, (signed and dated) 'lyre' table required extensive repairs to the 'lyre' base: the blocks at the top and bottom were split, separated, and showed failure of previous repair and patches (photo shows top removed). The blocks were made of stacked pine boards (the lower block veneered with curly maple). 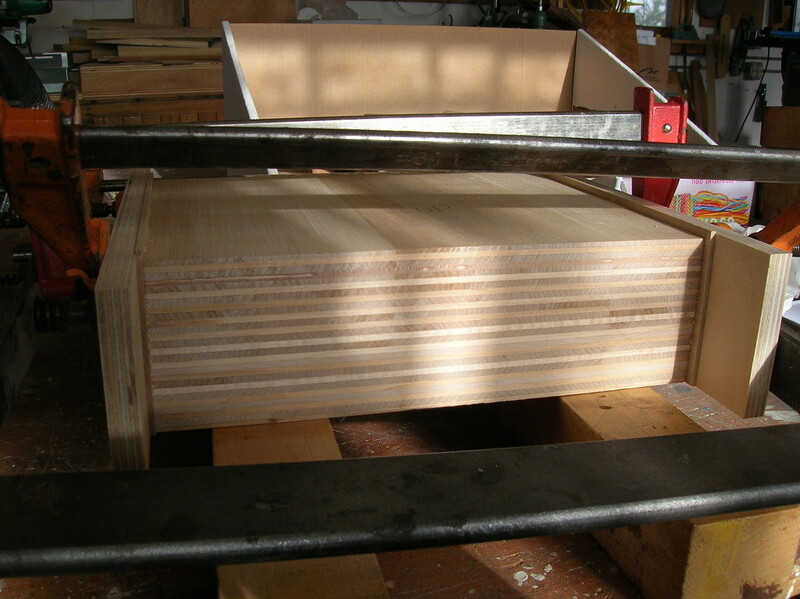 The lower block split at the laminations, cracking the veneer. 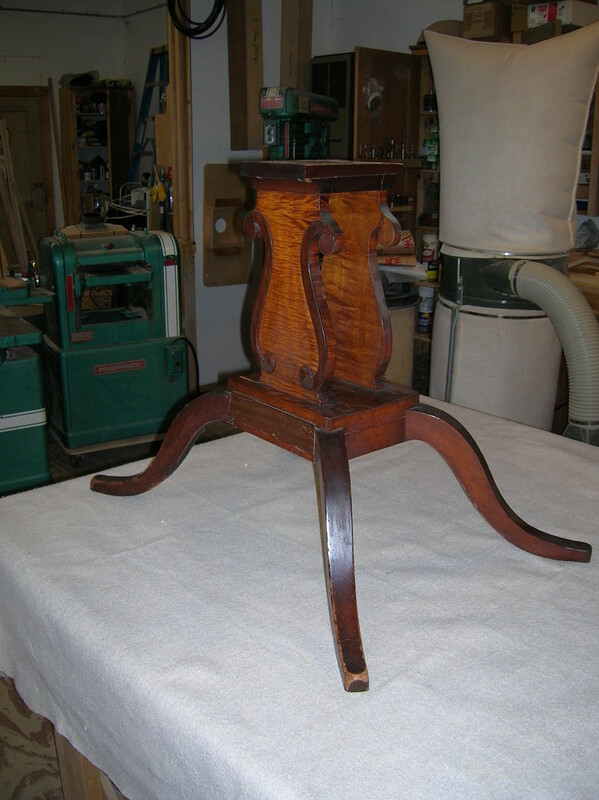 Also, the block was split at the leg dovetails. I remade the blocks. 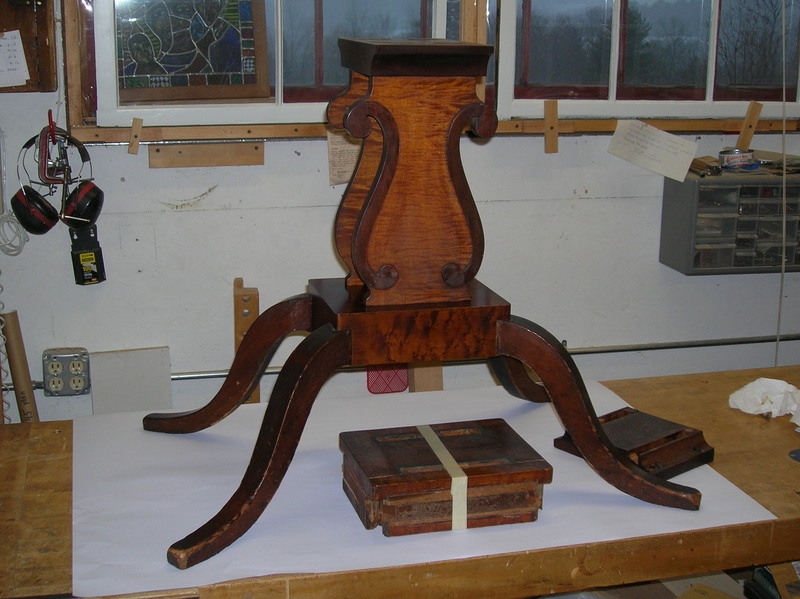 For the lower block, I glued up a stack of thin, shop-made maple veneers, alternating the grain direction for strength. I then added an outer veneer of birdseye maple, as on the original. 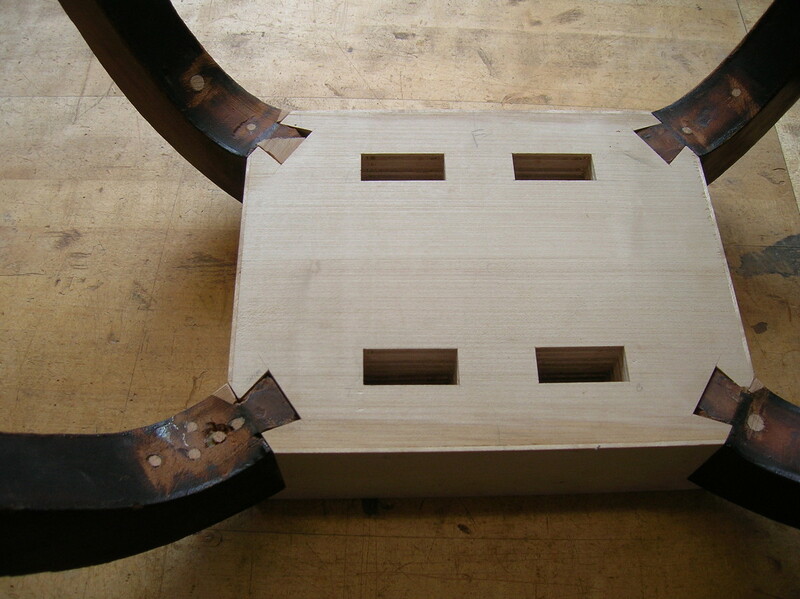 I repaired the leg dovetails and fitted them to the new block, also cutting mortises for the 'lyre' uprights. After final fitting the new top and bottom blocks, I stained the new wood to match.